What does it mean to refinance with private lenders for mortgages? As the market for traditional loans continues to experience uncertainty, private loan refinance has become an increasingly popular option for borrowers. The bottom line is this: banks are increasingly tightening qualification requirements and making fewer loans. This has created an environment where private mortgage lenders have emerged as an option for providing capital to numerous individuals and businesses. Here are some things you need to know about the world of private mortgage lending, like when it makes sense to find a private refinancing lender and when it may be risky to enter into a private lender mortgage. The new loan’s interest rate is significantly lower than your current one. The refinancing allows you as a borrower to avoid paying a large “balloon” payment during the life of the loan. Loans that have an adjustable rate periodically reset based on changes to various indices such as LIBOR or the CMT. So, it’s rather common for these interest rates to exceed whatever the current interest rate for new loans may be. Loans with balloon payments typically defer interest and part of the principal to a future date. This allows for lower monthly payments over the term of the loan, but requires one large payment on a specified date that satisfies the balance and accrued interest. For either adjustable rate mortgages or loans with a balloon payment, refinancing at some point is often a necessity. When loans reset or a balloon payment is due, the financial requirements are often beyond what the loan holder can comfortably afford to pay. So, in both situations, a borrower may be better off refinancing to save money over the long-term. However, the lender may either be constrained by more stringent regulations or may not see the risk associated with new loan as outweighing the financial benefit. Lenders are particularly reluctant to offer long-term loans against commercial real estate, so balloon provisions are common. Lenders realize that businesses more often fail than succeed, so balloon payments mitigate their risk. In the past, borrowers would simply refinance the loan and convert it into a fixed-rate instrument. Unfortunately, turmoil in the real estate and financial markets has resulted in stricter bank lending standards and reduced levels of refinancing activity. Borrowers that hold debt on property that has depreciated often find themselves unable to repay the loan and no options for refinancing. All this opens the door for finding a private real estate lender. Private lenders include a group of individuals that have the resources available to participate in hard money lending. They come from a variety of professions and backgrounds. While some are familiar with basic lending practices, others may be new to the process and simply looking for superior returns of their liquid capital. A refinanced loan will have a much shorter approval process through a private lender. While traditional banks require seemingly endless financial documents and cumbersome procedures that can delay loan approval up to 90 days, private real estate lenders usually will finish the process in under a week. This can be especially beneficial to mortgage holders under default or foreclosure pressure and businesses looking to complete a project on time. Banks focus primarily on the applicant’s assets and credit history, while private lenders are more interested in the cash-to-value ratio of the loan versus the tangible asset. Especially in the current economic environment, private loan lenders find an endless number of high-quality borrowers unable to secure loans from banks and mortgage lenders. It is important to understand that private lenders for mortgages lend money with the expectation of receiving a higher rate of return than what a bank might charge. This premium is associated with easier qualification requirements and greater risk on the part of the lender. Private lenders are trying to make a profit on their investment as well as repay the investors they use to raise the capital required to make the loan. In other words, private lender rates do not mean cheaper lending rates. In fact, they are typically more expensive. The term of a privately refinanced loan is usually no more than 10 years. Borrowers with longer term requirements should remain aware of other refinance options as the economy improves and lending standards relax. Borrowers should also be aware that private lenders may want to place a balloon payment clause on the loan, meaning you could owe tens of thousands of dollars at some point down the road. Failure to pay that could be a backdoor way for a private lender to repossess your home. It’s a good idea to have an attorney and an accountant review the terms of the loan to ensure real estate and tax law are being followed and all legal and tax implications are clear. Also be prepared to present your repayment plan to a private lender who may want to know how you plan to pay back the loan. For instance, some borrowers plan to remodel and sell their home before the loan is due. Private lenders can be found locally through real estate agents, civic clubs or real estate investor clubs. Riskier and less secure commercial loans are often refinanced through business capital brokers. Specialized loan brokers that serve to match lenders to borrowers assume a high profile and advertise prominently on the internet. 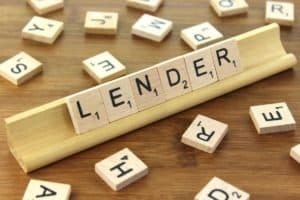 How do you know you’re dealing with a good lender? File documents, like title and deed, with local governments. Consider using a title/escrow company to handle the paperwork. Work with someone you know or with someone who has been referred to you. If that’s not possible, do thorough research online about the private lender. Next post: Can You Combine Two Mortgages into One Through Refinancing?